Eugene Peter Urbanowicz, Jr., who goes by Peter Urbanowicz, is an attorney who first worked at the Department of Health and Human Services (HHS) during the George W. Bush Administration. Prior to returning to HHS under Trump, he worked at a for-profit healthcare/hospital management company, then moved onto a consulting firm, where his portfolio largely consisted of turning around other large healthcare organizations. Urbanowicz was hired as Alex Azar’s chief of staff as a “trusted hand” from the Bush Administration’s Department of Health and Human Services (HHS). 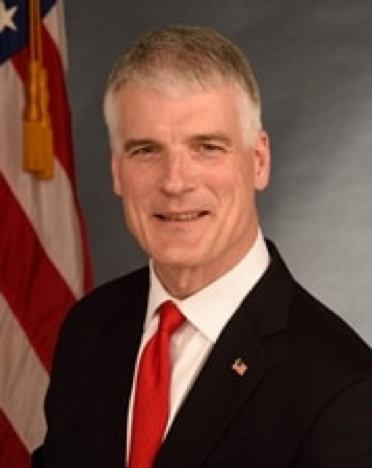 From his position within the Immediate Office of the Secretary (IOS), he operationalizes and works in close proximity to the staff shaping anti-reproductive care rules and policy coming out of the agency. Urbanowicz worked as deputy general counsel for former HHS Secretary Tommy Thompson in the early 2000s. In this role, Urbanowicz worked directly under Azar in the general counsel’s office. Azar believes life begins at conception; and Azar’s HHS has taken countless shots at reproductive rights and women’s access to healthcare. During his tenure, Azar has made it easier for anti-abortion groups to receive federal planning funds, grown a new office that protects medical providers that discriminate against patients who want reproductive healthcare and promoted and empowered anti-abortion ideologues as appointees installed to fundamentally change the programs they were charged with running. Urbanowicz worked with Stannard at Bush’s HHS. They have also coauthored an online debate for the conservative Federalist Society together about the limits of the Affordable Care Act (ACA). Stannard, who is now a White House Senior Advisor and Senior Counsel to Azar, has worked to roll back the ACA’s birth control mandate and various anti-abortion initiatives.